With a Licensed Master Plumber on staff, Dirt Works is able to tackle all plumbing situations. 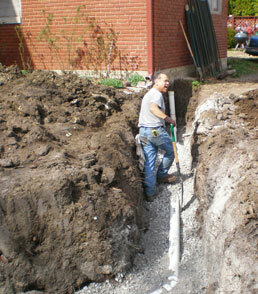 Our plumber can finish your new plumbing ground rough in for commercial or residential. We will install all your piping for sinks, showers, toilets, washing machines, and any other miscellaneous plumbing fixture you see fit for your new home or building. As water runs through old metallic pipes, the friction of the water against the metal breaks down the old pipes. 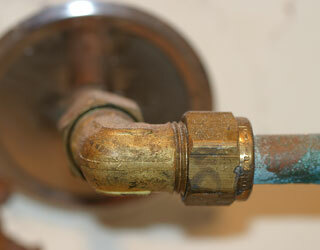 After many years of this happening, new pipes need to be installed to prevent major water damage to your home. 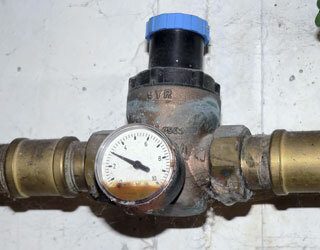 We will run new pipes in place of your old plumbing system through a process called repiping. We can reset your toilets and hook up fixtures to the new plumbing. Septic System Installation is our specialty here at Dirt Works. We are not afraid of any sewer line installation that you need completed or repaired. Are you looking to put a new water hydrant in your yard or by the pasture so you do not have to pull hoses all over the place to transport water? Our plumbers and excavation team can install water lines and hydrants anywhere on your property that you need them placed. We have worked with several city utility departments to install water mains for home owners. 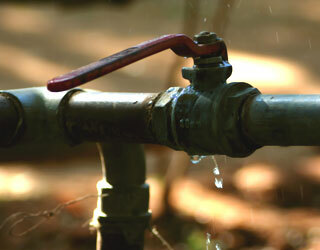 We also have installed water lines from pump houses to homes located in rural areas. If you are in Excelsior Springs, Richmond or the Kansas City area, call Dirt Works today for your plumbing needs. Copyright ? DIRT WORKS CONSTRUCTION. All Rights Reserved.